A real revolution for tomorrow’s tennis. SPITBALL is a new company which deals in tennis and sports in general. Our mission is to search on italian and worldwide markets the sport equipment that could make the athlete training new and always performing. We buy them, our staff test them until we verify all the potential and limits and if we consider it a ‘SPITBALL PRODUCT’, we insert it in our renting equipment. We believe that sport equipment renting is the future for sport. This allows to diversify the workout, to test new machine and to enjoy without spending a fortune. Best equipments are available to make your workout always up to your expectation, tailor-made and performing. Delivery, on demand, all over Italy. Our experts will be at your disposal to explain how to obtain the best from our equipment. Our philosophy is focused to avoid waste of precious time during workout. You have a phone number to contact for any problem arising during the rental period. SPITBALL gives your tennis club the chance to diversify the services proposed to members and train the school’s athletes with advanced equipment benefitting of the latest technologies avoiding expensive purchases. SPITBALL is for the coach who wants to offer his clients an added value, offering experience and modern equipments without getting involved in expensive investments. SPITBALL and all its renting services are for all padel clubs. 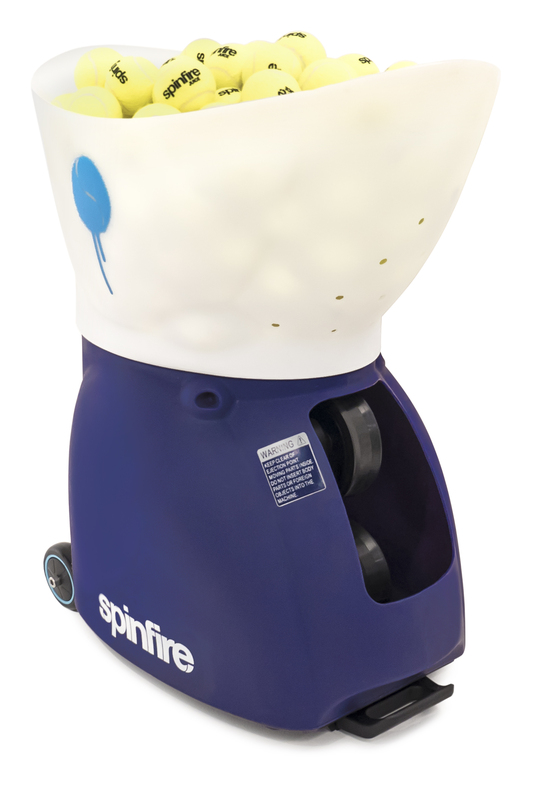 The SpinFirePro2 ballmachine is equipped with the new system of inside oscillation.